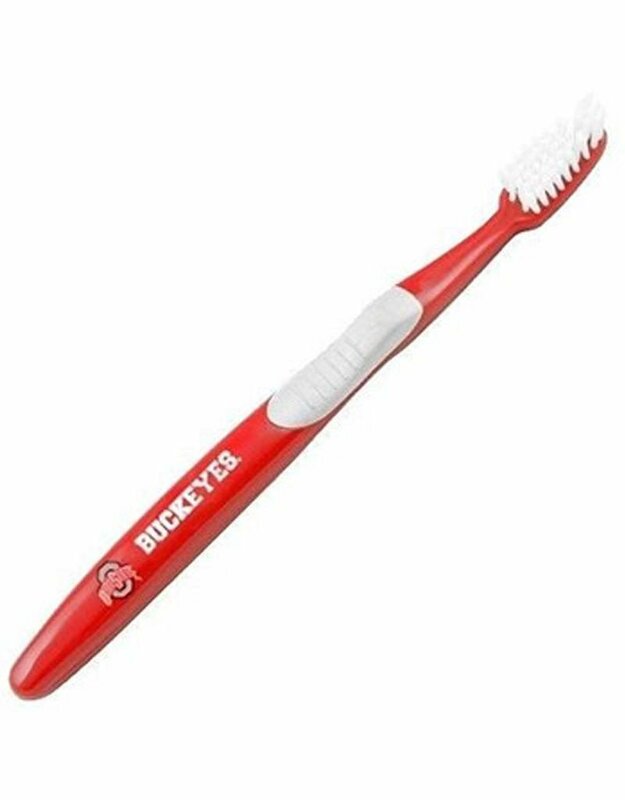 Ohio State University Buckeyes Toothbrush is made with quality materials. Opposing angled bristles reach deep between teeth with each forward and backward stroke. Extended tip accesses hard-to-reach areas of the mouth. Dentists recommend changing your brush every 3 months. 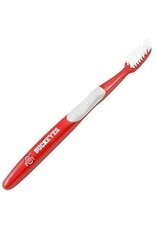 Features a solid and gray handle with a printed full colored OSU Athletic O Logo and Buckeyes text.